We have had a busy start to 2014 at William and Mary and we have lots of exciting news to share with you which is why we have decided to start writing a blog. We are very pleased to announce that we have changed brands to Wella, SP and Sebastian which has proved to be a very successful decision. We have found that Wella appreciate and support our salons vision for providing constant training for all our staff, high fashion ideas and colours for all our clients together with a high level of service and end result. We have already had the Wella team of experts in the salon giving us in house training on our new SP and Sebastian retail products and Wella colour ranges. We have been particularly excited about the new Illumina Colour Range, which gives a very modern and current colour seen on the catwalks and in high fashion magazines. Our clients have been really pleased with the finish Illumina creates. Please feel free to pop into the salon for your free colour consultation with one of our highly qualified colourists. You can also check our facebook page for photos and details of all training taking place. In other exciting news, our stylists have entered the Wella Professionals TrendVision Awards which recognises up and coming stylists and the most masterful colour work within the hair industry. The looks and styles were created in the salon ready for our photo shoot of the finished look. Our stylists took their inspiration from the 2 design briefs provided by Wella, either Urban Native or Borderline Beauty. Our finished shots can be seen on our facebook page ………….. we will keep you updated on the results! We are extremely proud to announce that Mary has been asked to judge in the regional heats of Wella competition XPOSURE which is Wellas number one competition for hairdressing students and is now in its fifth year. Mary will be travelling up to Southampton on 17th April and we are sure she will have an exciting day providing her knowledge and expert opinion! 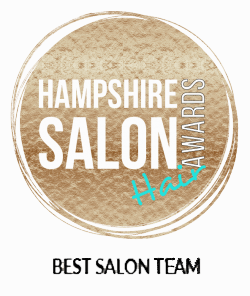 We are also pleased to inform you that our stylist Lacey has been awarded a place in the Sebastian MOB Programme. This is a 3 day education programme in London designed to harness the talent of the most creative and bold stylist. This is a wonderful opportunity for Lacey as she will be given comprehensive training about Sebastian’s concepts, products and services. Lacey will then be known as a MOBster Stylist and Sebastian expert. Well done Lacey! As you can see, we have been experiencing some very positive and productive events within the salon and our collaboration with Wella has been an exciting time for all our staff and clients. Please feel free to call us on 01425 480558 for any technical advice on your hair or to book in for your free consultation. We look forward to seeing you all in the salon soon and wish you all the best for the summer, which is hopefully fast approaching! !